It’s hard to find good help, and that issue becomes particularly challenging when you need to learn how to hire an editor…. When I worked in the newspaper business, several decades ago, I interviewed then-famous Canadian writer June Callwood, and I wrote a piece about her. I handed it in to the “desk” (journalist-speak for the editors who checked spelling, grammar and flow) and forgot about it. The next day, I eagerly grabbed my paper to see how the story and photograph looked. Argh! I had mindlessly used the word “they’re” when I meant “there.” And, worse, the desk hadn’t caught it. I tell this story by way of introducing you to the concept that not all editors — not even professional ones — are equal. If you need an editor for something you are writing — whether it’s a book, a thesis, a website or a blog post — here’s a primer for how to find someone good. A developmental or substantive editor: This person deals with the overall impact of your manuscript. Does it make sense? Is everything in the right order? If it’s a novel, is the plot plausible and are the characters believable? How is the pacing? If it’s non-fiction, have you gone into the right level of detail? Is your voice compelling? Do you require more footnotes or references? Not everyone needs this type of editor, but many writers benefit from one. A copy or a line editor: Every writer — especially a self-published one — needs someone to do this job. This editor not only looks for spelling and grammar mistakes but also for awkward phrasing, repetition, clichés and weak language. And here’s a devilish irony: The better shape your manuscript is in, the more your copy editor will be able to suggest. Think of it like hiring a cleaner for your house: If the house is a disaster, your cleaner is going to be busy with tidying and vacuuming. Furthermore, you are likely to be ecstatic with this basic effort because the house will look so much better. But if your house is relatively tidy to begin with, the cleaner will have the time and the energy to dust the intricate items on the buffet and polish the silver, to boot. Message: don’t hire a copy editor too early. A proofreader: Every writer also needs one of these people. But here’s a wee bit of good news. Many copy editors are also willing to be proofreaders, and if you use the same person, it will save you some money. For a long time, I thought that only “fresh eyes” could accomplish professional proofreading, but I was wrong. Professionals have a bevvy of tricks and techniques that allow them to copy edit first and then proofread later. Use the same person, and you’ll save yourself some money. An indexer: Not all books have an index, but many non-fiction ones do and, even if you have a contract with a big-name publishing company, you will be required to produce it yourself. Don’t do that! Instead, contract out the work. It’s a tiresome and intricate job. Professionals can do it relatively quickly, and they have specialized software to help them. My copy editor is also my proofreader and my indexer. Not every professional can perform such a hat-trick, but it’s worth looking for someone who can. Editors cost money so hire one only when you’re certain you’re ready. Before doing that, use at least half a dozen beta readers to give you feedback on your book, thesis or website. (One beta reader is enough for a blog post or article.) If you’ve chosen the right people, you’ll likely be surprised by the volume of changes/corrections they suggest. Be suspicious if no one tells you anything the least bit challenging or negative. This unvarnished praise either means you’re a genius (which, to be frank, is unlikely) or you haven’t chosen the right people or enough of them. When I finished my last book, 8½ Steps to Writing Faster Better, I sent it to a dozen trusted friends and acquaintances, many of whom were professional writers. They gave me such voluminous feedback (I accepted most of it and rejected only a small portion) that I assumed my copy editor would have nothing left to do. Guess what? She still bled red ink onto it. In other words, my house was clean, and she was able to polish the silverware. Thanks, Naomi! If you’re an author looking for an agent (so he or she can work to land you a big publishing deal) you may trust that a publishing house can ultimately do the necessary editing. True, they will edit it according to their house style. But they have to accept it first. And to get that to happen, you will need to find an agent. Won’t agents do editing, you ask? Yes, some will. But you have to persuade them to read it first. In short, if your manuscript doesn’t have some degree of clarity and polish, it’s not going to go anywhere. A copy editor can help you. If you’re planning on self-publishing, you most certainly need a copy editor. You don’t want to be the self-published author who is famous for a sloppy manuscript. At the very least, you need to hire a copy editor and a proofreader. If you’re a student working on a thesis or dissertation, be aware that most universities will allow you to hire a copy editor under certain conditions. This professional help can be extraordinarily useful to grad students. But be sure to check with your university, first, to see what they will permit and what limitations they put on the work. By the way, even though I act as an editor for some clients, I also hire an editor for myself, for anything that I sell. All professionals do this. We are too close to our own work to be able to edit it ourselves. If you go to a doctor, dentist or accountant, you can be confident that they have met certain standards of education and practice. No such reassurance exists with copy editors. BE CAREFUL. You don’t want to be saddled with someone who’s going to make your writing worse (and charge you for the privilege). Many copy editors will do what they call “test edits” (of three to 10 pages) so be sure to ask for that before you commit to someone. I’m lucky enough to have had the same copy editor for the last 10 years, but back when I was testing someone new, I liked to pay them for a small job, first, just to test the working relationship. This policy lowered my risk —I didn’t feel obliged to them, and I didn’t have to work with them terribly long if things weren’t going well. Also, be sure to find someone who specializes in your subject area. If you’re a non-fiction writer, you don’t want a copy editor who only does novels. Similarly, if you write literary fiction, you don’t want a copy editor who feels most at home with Sci-Fi. Also, make sure you get someone whose style matches your own. You don’t want to pick a person who makes you sound phoney or stilted. 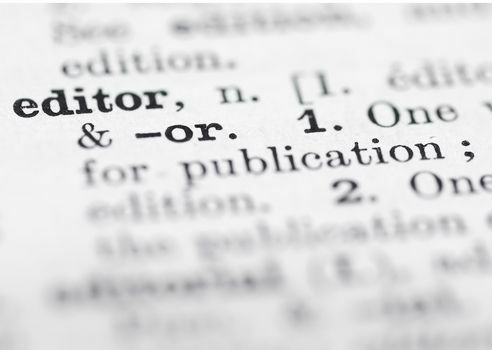 Ask friends and colleagues for recommendations for editors. Or look the foreword or afterword sections of books (to see whom the author thanks.) Or go to one of these two job boards: a Canadian one and an American one. I’m sorry I don’t have listings for other countries, but I expect most will have similar sites. If Google can’t help you find one, contact a local newspaper in your area and ask to speak with someone on the desk (if they ask “Which desk,” say “Features.”) Tell them you’re interested in finding a freelance copy editor and they should be able to direct you. Each editor has his or her style of calculating fees. Some charge by the hour, others by the page, still others by a flat fee. Hourly rates for books range between $30 and $60, depending on the country and city. (Proofreading is at the lower end of the scale.) Overall, you should expect an 80,000-word book to cost somewhere between $1,000 to $3,000 for copy editing. Note that corporate editors always charge more, so — unless you’re a business — you should avoid someone who falls into that category. If you are a corporate client, however, never begrudge the money on good copy editing or proofreading. It can save you a bundle in the long-run if you consider the cost of mistakes. Be sure to get at least three (maybe more) references before you spend this sum of money on anyone. But if you’ve found the right person, don’t be afraid to sign a contract. You are taking a risk on them, but they are also taking a risk on you. A contract will protect both of you. Don’t try to save money by getting a friend to edit a book for you. The job is sophisticated and requires significant time and specialized knowledge. Any friend who takes on this job is either ill-informed or inexperienced. It could well cost you your friendship. Good editing is expensive. But not editing is even costlier. It will give you bad word-of-mouth, hurt your sales and harm your reputation. My video podcast last week gave advice on how to become a better reader. Please consider subscribing. If you have a question about writing you’d like me to address, be sure to send it to me by email, Twitter or Skype and I’ll try to answer it in the podcast. Have you ever had to hire an editor? How did you do it? We can all learn from each other so, please, share your thoughts with my readers and me in the “comments” section below. Anyone who comments on today’s post (or any others) by July 31/17, will be included in a draw for a copy of Business Writing and Communication by Kenneth W. Davis. Please, scroll down to the comments, directly underneath the “related posts” links, below. Note that you don’t have to join the commenting software to post. See here to learn how to post as a guest.